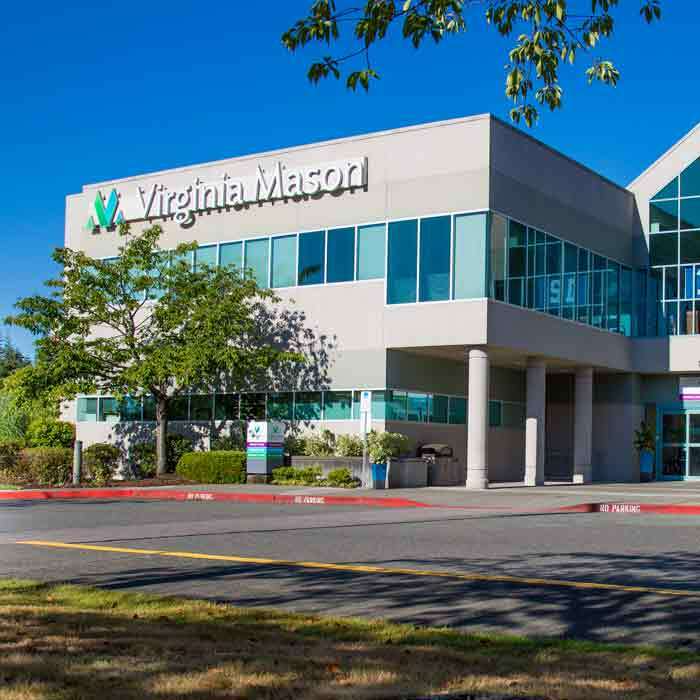 Virginia Mason is home to a state-of-the-art hyperbaric medicine facility in Seattle, run by one of the nation’s most experienced and well-trained teams. 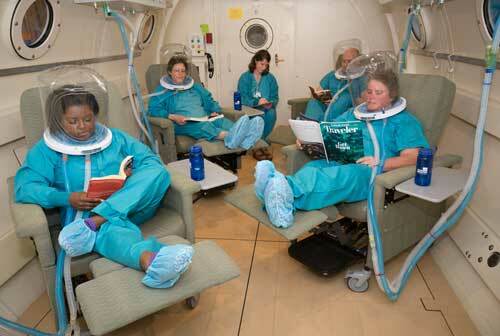 In hyperbaric oxygen therapy, patients breathe pure oxygen in a pressurized environment. Hyperbaric chambers are well known for treating scuba diving accidents, carbon monoxide poisoning and other emergencies. Hyperbaric therapy also stimulates healing by helping the body grow new blood vessels and carrying oxygen to tissues. This is especially useful for treating tissue that is injured by radiation therapy, as well as some types of severe diabetic wounds. Our Center for Hyperbaric Medicine has been a leader in its field for more than four decades. We’re Washington state’s only hyperbaric facility that is accredited with distinction by the Undersea and Hyperbaric Medical Society. This ensures we have the best equipment, staff, training and safety. And it means we can deliver the best possible care and give you the best chance to heal and recover. Our treatment chamber is the size of an aircraft fuselage — big enough for patients to stand up, or read and play games during treatment, instead of being confined to a Plexiglas tube. We're the only facility in Western Washington with a chamber this large. Discover why this chamber might be right for you. We're the region's only hyperbaric center with physicians who are board-certified in Undersea and Hyperbaric Medicine. Our nurses and technicians also have the highest levels of training. Our expert staff is in the chamber during treatment so we can monitor your treatment, answer questions and make sure you get the best possible care. Meet our providers. 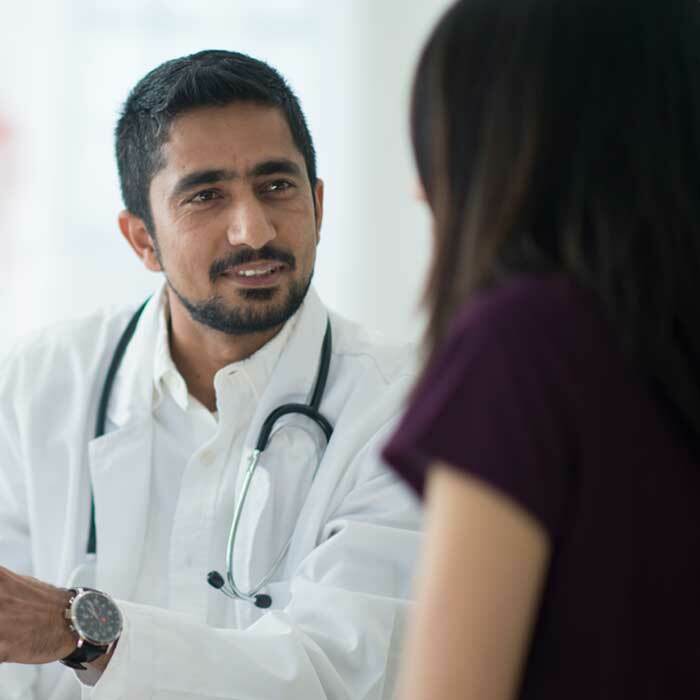 Our physicians published a study showing that the vast majority of patients treated at Virginia Mason for radiation tissue injuries have positive outcomes. These results were published in the journal Cancer. The Center for Hyperbaric Medicine is the Northwest’s go-to center for treating scuba diving accidents, carbon monoxide poisoning and other emergencies. We are the regional coordinating facility for the Divers Alert Network, and the backup hyperbaric facility for the Army Rangers, Navy SEALs and other military units. While we are available for emergency care 24 hours a day, 7 days a week, all emergency cases should go to the closest emergency department for evaluation and stabilization. Once you have a referral for hyperbaric therapy, please visit our appointments page or schedule an appointment by calling (206) 583-6543. Emergency patient referrals can be made 24/7 via Virginia Mason's Admission Center at (206) 341-1141. Emergency patients are evaluated by the Emergency Department. 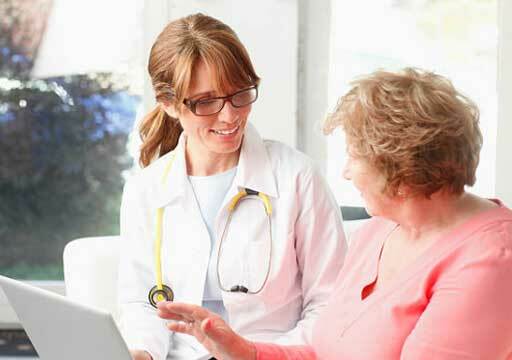 We accept many insurance plans, and Medicare and Medicaid. 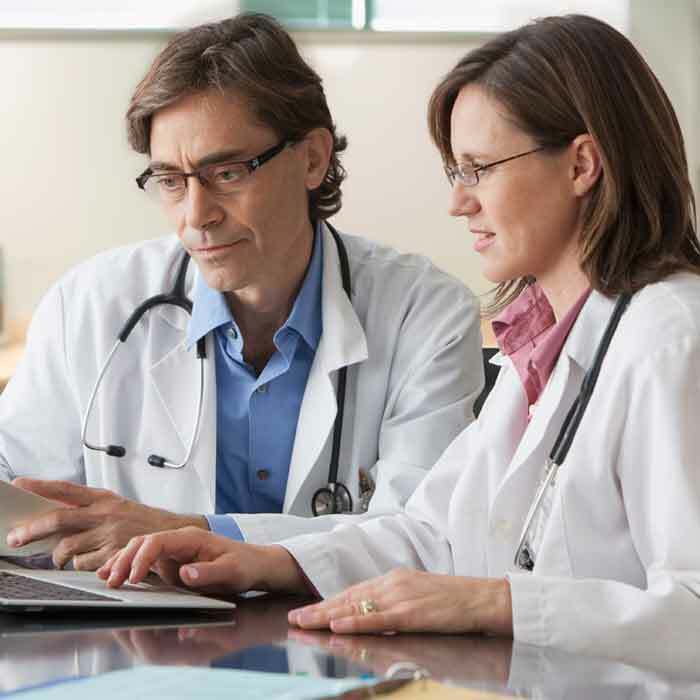 Referring physicians can find referral information on our For Clinicians page. 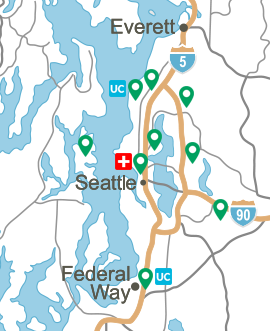 We are located at Virginia Mason’s Hospital and Seattle Medical Center. We offer free parking for patients receiving hyperbaric therapy and discounts on nearby hotels. Some patients can receive two treatments a day in our facility, and we are open on Saturdays for outpatient treatment. This helps patients keep travel to a minimum. To learn more about hyperbaric oxygen therapy at Virginia Mason, please call us at (206) 583-6543.